Otra libretita decorada con Magnolia. Estampé la Magnolia en Cardstock Cryogen. Utilicé los Copics para darle color a la imágen. El marco blanco en forma de scrallop ovalado lo corté utilizando el Cartridge de la Cricut "Art Philosophy". Y como detalle utilicé "Liquid Pearls". 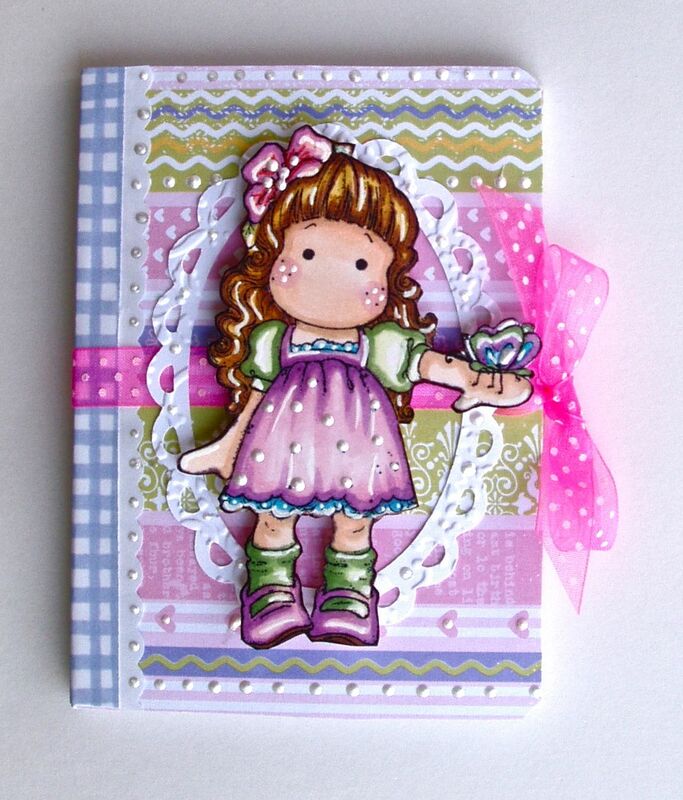 Another mini notebook decorated using a Magnolia stamp. I stamped the image on a Cryogen Cardstock. I used Copics to colored it. The white scallop oval frame I did it using the "Art Philosophy" Cricut Cartridge. As an embellishment I used Liquid Pearls. Monique septiembre 28, 2011 5:11 a.m.
That is such a lovely card !! Rene septiembre 28, 2011 9:52 p.m.
Oh wow, this is SO CUTE!!!!! I love how you used the white pen to highlight and add dots! Fabulous job! Karen's Fun Blog septiembre 29, 2011 10:17 a.m.
Paula septiembre 29, 2011 11:54 a.m.
Julie P septiembre 29, 2011 5:45 p.m. Very pretty ,love your colours and Dp, just lovely! Linda septiembre 29, 2011 6:51 p.m.
Wow what a beautiful notebook!!!! Love the colors and you did a great job on this!!!!! Paper Tails septiembre 29, 2011 10:22 p.m.
Beautiful! Great job on your altered notebook. 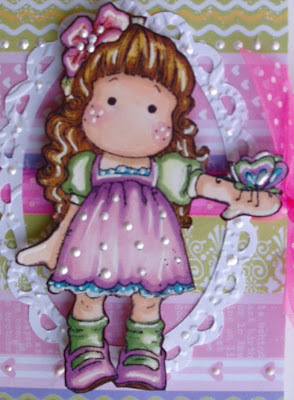 Sharon septiembre 30, 2011 9:22 a.m.
cabio's craft corner octubre 01, 2011 12:30 a.m.
Adorable and cute Tilda altered notebook! !